Dallas-based WFAA8 continues to fill newsroom vacancies, this time hiring Todd Unger from Albuquerque's KOAT-TV as a general assignment reporter. Unger's hiring was announced by his agent, Mort Meisner. WFAA8 news director Carolyn Mungo confirmed Tuesday that his start date at the station will be on Jan. 7th. 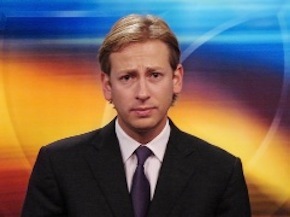 Unger joined KOAT, an ABC affiliate, in December 2010 after a stint at KPTM-TV in Omaha, Nebraska. He has a bachelor's degree in journalism from the University of Denver. "I like to do stories that stand up for the little guy," he says in his KOAT bio. "Everyone deserves a voice." In late October, WFAA8 hired Jobin Panicker from Fresno's KSEE-TV and Jason Wheeler from Austin's KEYE-TV. In recent months, the ABC affiliate has lost full-time news staffers Cynthia Vega, Craig Civale and Casey Norton to public relations positions with other companies in D-FW. WFAA8 early morning anchor Cynthia Izaguirre also is from KOAT-TV. Here's a crime report from Unger during his time at KOAT's "Action 7 News."